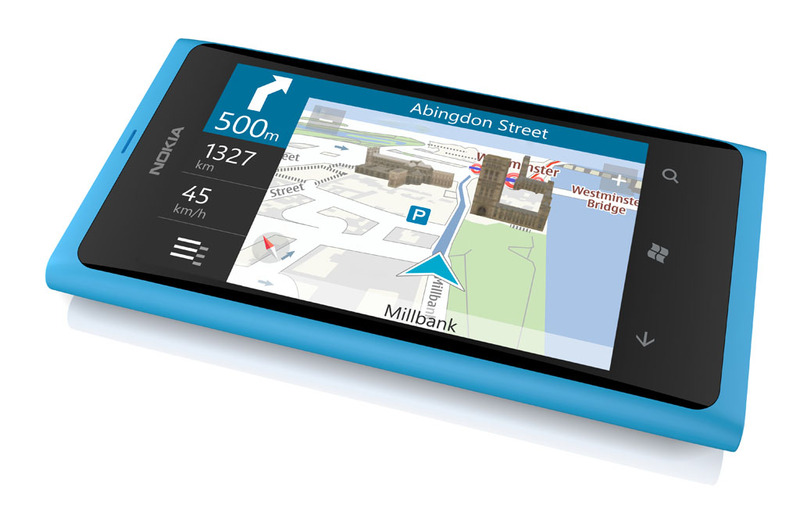 news Nokia has reportedly revealed that its first smartphones to feature the Windows Phone 7 operating system, the Lumia 800 and 710, will hit Australia in March, with the 800 to launch through all major local carriers. 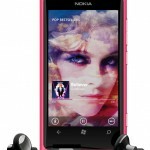 The Lumia 800 is similar in design to Nokia’s N9 handset launched in Australia last year. 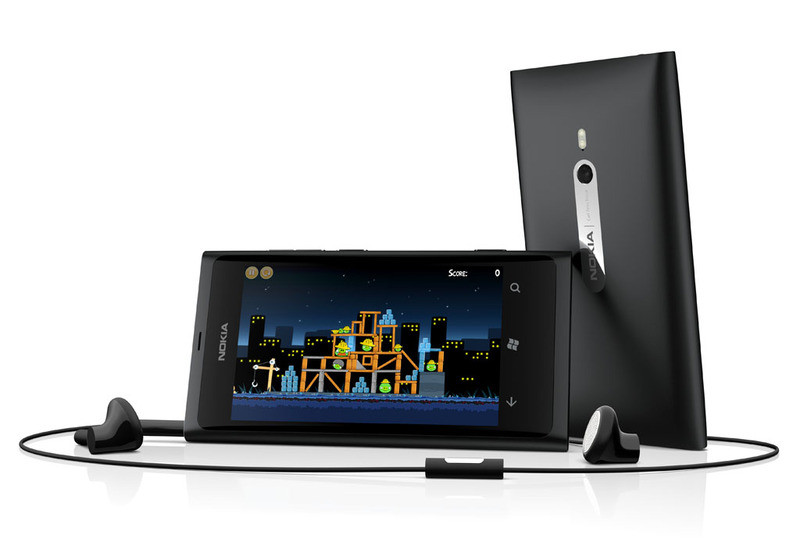 However, while the N9 ran the now-obsolete Meego operating system, the Lumia 800 will run Microsoft’s new Windows Phone 7 operating system, which Nokia is standardising on, following a management shake-up in late 2010 which resulted in former Microsoft executive Stephen Elop taking the help at the Finnish firm. The Financial Review’s technology section quoted Nokia Australia managing director Chris Carr today (we recommend you click here for the full article) as saying that the Lumia 800 and its sister phone, the Lumia 710 would go on sale in Australia in March, with the 800 to sell through major carriers Telstra, Optus and Vodafone. Australia has not seen a major launch of a new smartphone running Windows Phone 7 since late 2010, when Microsoft and its smartphone hardware partners HTC, Samsung and LG worked closely with Telstra to bring a swathe of models running the operating system to market. Over the past six months, a number of local Windows Phone 7 enthusiasts have started to question the major telcos as to when new launches would occur. The gap in Windows Phone 7 launches is believed to have provided a window for rival Apple and Android-based handsets to launch in Australia, with the two operating systems (Android is supported by a clutch of hardware manufacturers, including those also promulgating Windows Phone 7 handsets) currently dominating Australia’s mobile phone market. 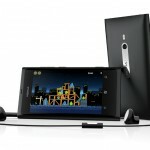 The Nokia Lumia 800 features 16GB of storage, an 8 megapixel camera, 512MB of RAM, a single-core 1.4GHZ Snapdragon CPU, a 3.7″ touchscreen running at a resolution of 800×480, and Windows Phone 7.5. It also comes with a micro-USB port. Unlike other smartphones like Samsung’s Galaxy Nexus, it doesn’t feature a near field communications (NFC) chip for mobile payments, which are becoming more popular in Australia. 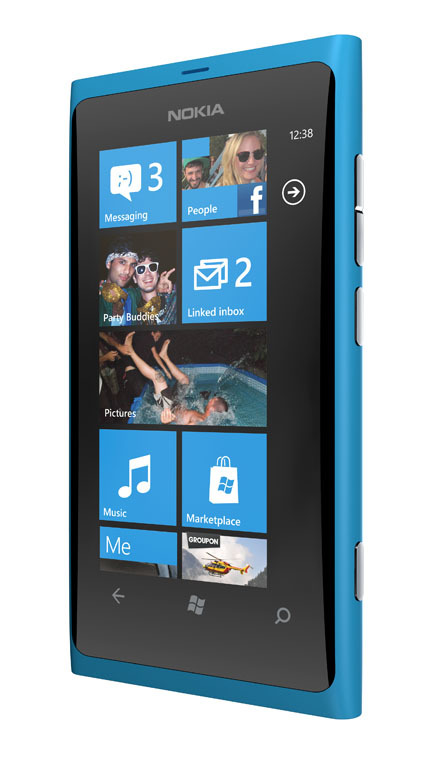 The Lumia 710 is a lower-end, lower-cost Windows Phone 7 phone; similar to the Lumia 800 but aimed at the mid-range market rather than the top-end. Too little, too late? I’m really not sure. 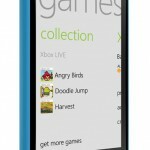 There is no doubt that the Lumia 800 is a gorgeous little piece of kit, and it will stand out both in marketing campaigns in Australia as well as in users’ hands when they visit retail stores to test out different smartphone models. It really is *that* nice in the hand and that eye-catching when you’re using it. In addition, the Lumia 800 represents the first true fulfilment of the potential that the Windows Phone 7 operating system has promised for some time; in a very similar way that the HTC Desire represented the first true fulfilment of Android when it launched in Australia in April 2010. However, Australia is expected to see an absolutely huge number of great new smartphones released over the next year. Some in particular, such as Samsung’s Galaxy S III, and Apple’s iPhone 5 (or whatever it will be called when it is eventually released), are virtually guaranteed to be instant winners, purely by virtue of the previous models which they are heir to. 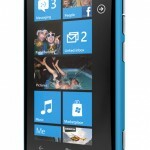 The Lumia 800 will be released in Australia just after the Mobile World Congress conference in Barcelona is held, where manufacturers like Samsung, HTC, Sony Ericsson and so on release details of their upcoming handsets. In addition, it will be released just a few months before Australians start to get excited about the next iPhone — I expect anticipation to start building sometime around June. Can Nokia prevail against this kind of competition, and, despite its strong history, from what many people will see as something of a standing start? 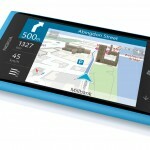 The company’s N9 handset, which shares most of the design of the Lumia 800, sank virtually without a trace in Australia when it was launched before Christmas. 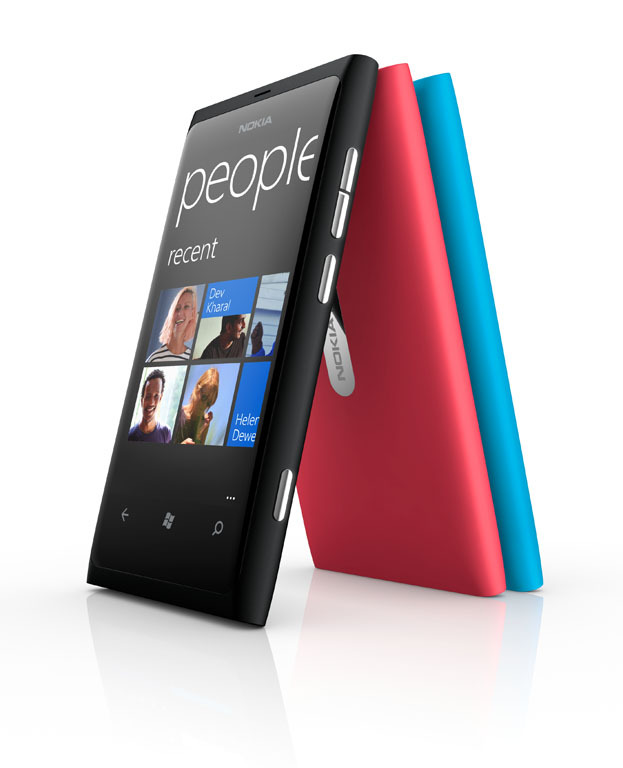 It will be interesting to see if Australian consumers will pay more attention when take 2, the Lumia 800, is launched in March. Can a new operating system make all the difference? Only time will tell. The thing about Windows Phone 7 phones as well (and the new Lumias are the perfect example of this) is that they attract attention when people have them in public. Their look and feel, and I’m especially talking about the user interface here, look so much more glamorous than the iPhone, and this effect on the general public can’t be underestimated. 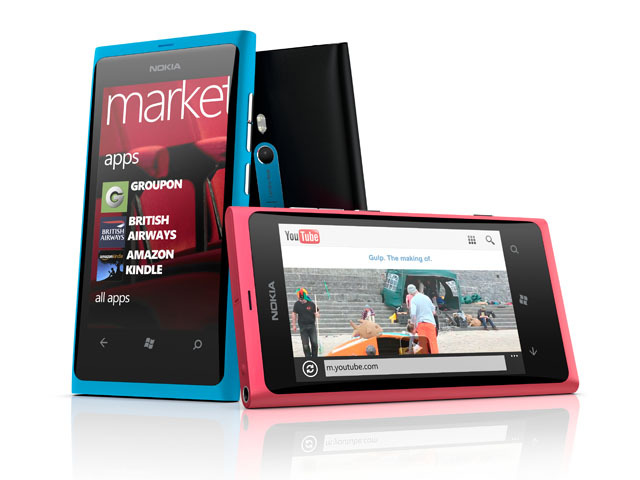 If Nokia gets behind it with a substantial marketing push … it will be very interesting to see how the Lumia 800 could do. also you should see a doctor. 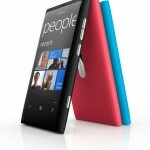 Lumia 800 has been in Asia and Europe for months. It’s an O.K. phone, but is let down by poor battery life, limited applications, under-performing camera, no internet tethering, and quirky usability issues (like being able to add a contact to the phone – it must be synced to an existing service). Your review really didn’t put the phone through its paces. Personally, I’d wait until Windows 8. I’d be interested to know where you got your information from … Engadget’s review of the Lumia 800 doesn’t note any of these problems, apart from the Internet tethering issue. In some regards Renai, he’d be r ight. The problem with reviewers, is they generally dont spend more than a week with the handset. With a Lithium Ion Battery , we experience whats called a “burn in phase” which is where the battery operates at its maximum efficiency. After about a month or so, the battery gets into its normal phases and its general operating performance shortens. This is just due to the material shrinking and expanding, because when it comes from the factory its normally more solid than liquid. Once the material starts ionizing , it loses some of its inital shine. I disagree with him with regards to average battery life. WP7 is easily the most optimized of all the operating systems (we’re talking mainstream smartphone), easily beating out both iOS and Android by a large margin. The best bit about WP7 is that it is considerably less resource hungry than both operating systems, more efficient in memory reallocation and much more efficient in both control of radio antenna and video performance (lag). Where it falls down, is WP7’s poor file allocation, ie in something like the old Samsung Omnia 7 or HTC Tropy 7 from last year, where its paltry 8GB of storage + the Mango update quickly turned the handset into a mess of about 4GB of actual storage space. If you were lucky enough to have the 16GB model, it wasnt so bad. Limited applications is a small problem, but thats due to the relatively minor uptake over last years Samsung Galaxy, Desire HD or iPhone 4. I have full faith with the new market app prices for developers and availabilty of seemless syncronisation with Windows 8, you’ll see a massively rejuvenated Nokia and a very high and mighty Microsoft. The contacts thing I didnt see, so I dont know where that came up ? Sure, it takes every battery a while to settle in … but I think you guys are nitpicking. Delimiter reviewer Jenneth Orantia is among the best smartphone reviewers in Australia, while Engadget is the gold standard globally. These are fairly authoritative reviews … to be honest, no smartphone battery is going to completely die or become extremely problematic after a few weeks or months of using it. 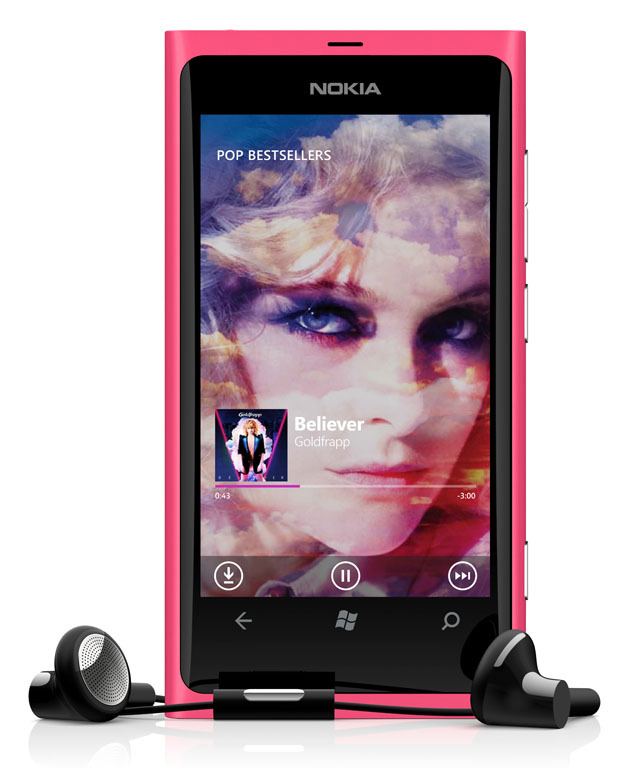 By any standard the Lumia 800 is a great phone — and I will be interested to see how Nokia does with it in Australia. Regarding the point about adding a contact to the phone, Cankles is night. However this is due to a design choice in the OS – the phone is not a standalone device as much as away to use your various cloud services on the go. While the device obviously has local storage, this is not emphasised as I understand from what I have seen of Win phone 7 so far. You’re comparing your review site to an (old) Engadget review as your proof? Pfft. That doesn’t prove that either reviewer spent enough time with it to give a real run through. My comments still stand. Use the phone for a week and you’d see this easily. See my comment above re nitpicking. So there. I rest my case – look at real world users and the points they also make…. We (not myself for software issues, but the Network Support Structure) look at forums, search known issues from the manufacturers and generally attempt to make the handset fail. We test against signal frequency, instability and connectivity issues. Once the handset has passed muster, its given a handset rating and then passed to Sales and Marketing. They then organise it on to plans and outright sale. These are all taken into consideration when the carrier changes software that goes on the handset. Unfortunately, some elements of the company like their own fiddly bits in here and there, bloatware and the like… Which can make or break the experience. So its nice that you like to sit there and take shots at Nokia, but given Nokia’s previous history with timely updates and fixes every month, you’ll find that these will likely be fixed before the handset hits the street here. I’d also be willing to wager previous Nokia customers that have strayed, probably will begin to love them again – because Nokia has an excellent support structure. i can give you a real world user’s feedback, having had the htc mozart since it was released. wp7 is the best performing operating system around. bar none. the only thing that lets it down is lack of apps. that’s it. 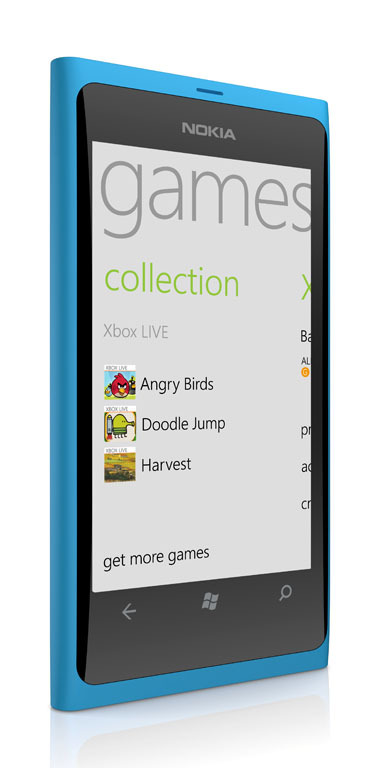 other than this, wp7 is a fantastic operating system for phones. battery life is fine, camera is perfectly adequate (considering it is still a PHONE camera) and the syncing of contacts to external providers is a VERY minor issue. So, Nokia’s flagship phone in 2012 will use a single core Qualcomm SoC from 2010? This, when Samsung’s Galaxy SIII will (most likely) use a quad core 1.5 Ghz Cortex A9, and Apple’s A6 is also rumoured to be a quad core processor with similar frequencies. I know, spec isn’t all, and I agree that WP7’s UI is really nice and fluid even on that (now) archaic processor, but specs do matter in that they help create a ‘buzz’ around the device. While 95% of consumers wouldn’t care about the processor inside their phone, that 5% who do care are the ones who crave the cutting edge, and they are also the ones who create buzz around a device. Those who say that specs don’t matter should take note: the two best selling phones in 2011 in Australia, iPhone 4S and SGSII, one had the best GPU in any phone and the other one the fastest CPU. While those CPU and GPUs did not by themselves make the devices popular, they matter. I’m sorry Nokia, I once loved you, and would like to see you succeed, but your halo device of 2012, the one you are resting so much of your hopes and dreams on, cannot use a processor that’s from 2 generations ago. It just can’t. A minority of users *do* care about specs, and they will not look favourably at a flagship device being launched with a processor from two generations ago. This minority of users are the ones who are tech savvy and who make buying recommendations on tech devices to their friends and family (and every family seems to have at least one of them!) These early adopters, while tiny in numbers themselves, have an oversized influence as they are the ones who create buzz around a gadget and recommend it to others, and we know that word of mouth is still the most influential marketing tool. In my opinion, any device which specifically shuns this group, is going to have a very hard time finding traction in the mainstream. Successful consumer electronic devices are the ones which are easy enough and accessible for the mainstream to use, yet have the allure and attraction to attract power users to them. So Apollo, are you saying that the Lumia would be available before march? or at least early march? From what I understand theres no exact ETA, but company staffers are talking within two weeks. If I get another Nokia in my life, ever, it’ll be the N9. The design and feel is very, very nice. Better than anything else out there for sure. Unfortunately for me the OS feels pretty laggy at some points still (like Android). iPhone 4 is still way ahead in performance and app range. “N9 Sank without a trace” right, and how did you determine that? Even if it did I’m not surprised really, marketing ceased almost entirely about 8wks ago now. Before that is was painfully difficult to find it in any kind of decent no’s with most retail outlets. For at least 1mth after it 1st came out (Oct 10/11), it was only in some outlets, & in ridiculously low no’s. Telco’s/resellers was a bit better, & was def. way better than what happened for the N900. Plans weren’t terribly competitive initially, but definitely got better as time went on w/most telcos/resellers. With all the obstacles thrown in it’s path, I’m amazed it’s sold much at all. It’s truly an amazing piece of work “overall”, & deserves far more respect from NA than it’s gotten. There’s no need to “put it to the sword” just so the L800 can get some air. They should be pushed equally as hard, but no….